Product prices and availability are accurate as of 2019-04-24 11:10:58 UTC and are subject to change. Any price and availability information displayed on http://www.amazon.com/ at the time of purchase will apply to the purchase of this product. 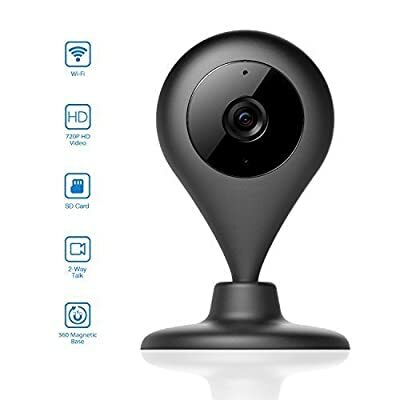 Two-way talk supported; Built in microphone and speaker; Support Two Way Speaking between camera with remote tablet or smartphone through WIFI; Remote real-time live voice & video. Support android 4.2 or later and iOS 7.0 or later phone; Quick and easy WiFi setup via iPhone or Andriod smartphone using MiCam APP; 24/7 live streaming; No dead batteries. 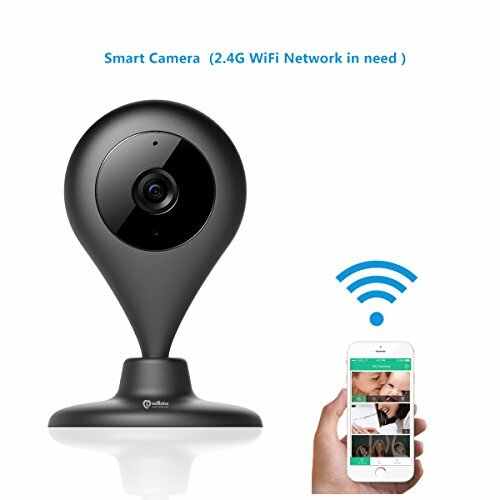 Mini Size: 2.4 x 4.2 x 2.4 inches; Adjustable 360 degree magnetic base IP/WiFi Network Wireless Pan Tilt Style Camera; Easy for Both Wall-mounting and Ceiling-mounting. When you plug 32G/64G SD Card successfully, it support local SD card video recording and directly playback via app; If the card is full, it will automatically cover the old record with the new ones. (Not including SD card) The camera also can share to your family. If you can't setup, please check your phone version and WIFI. Please reset the camera and try to setup more times.